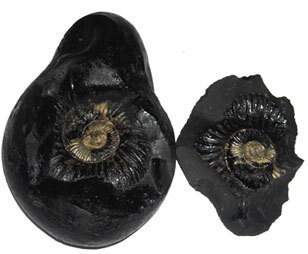 The Shaligrams shilas are specifically described as fossil-stones which have taken shape in the Gandaki-river, and are characterized by the presence of discus marks. They are naturally found in the river Gandaki. These also include the famous Kali-Gandaki River, Muktinath, Damodar Himal, Damodar Kunda, Devghat, etc. Salagrams are sacred 'shilas' or stones representing the abstract form of Lord Vishnu. His followers, the Hindu Vaishnavas, place these stones in their puja altars for daily worship. Just as the abstract form of Shiva is the stone ‘lingam’ which the Shaivites worship in their temples and homes, so is the ‘shila’ of Lord Vishnu. According to Hindu tradition, it is the shelter for a small insect known as the 'vajra-keeta' that cuts through this stone and lives inside it. In actuality, however, these stones are the fossils of the common ammonite that lived millions of years ago when the Himalayan mountain range formed the bed of a vast ocean floor. The marks made by the shell of the ammonite give its characteristic appearance, with the pattern often resembling and representing the 'Sudarshan Chakra' or the discus with a sharp-toothed edge which rests on the index finger of Lord Vishnu. These come in dfferent colors such as red, blue, yellow, green and black. Of these, the yellow, blue and black varieties are considered more sacred. The yellow and golden-colored are considered most auspicious and are believed to bestow great wealth and prosperity on its worshippers. They are of different shapes are often associated with the different ‘avtars’ or incarnations of Lord Vishnu such as: Matsaya avtar, Kurma avtar, Narasimha avtar and so on. In the epic Mahabharata, Lord Krishna while giving a discourse to Yudhistra refers to the qualities of Shilas. The Vaishnavas believe that this sila is the dwelling place of Lord Vishnu and any one who owns it must worship it daily. He must also adhere to strict rules while handling a it. He must not touch it without bathing, never place it on the ground, avoid intake of non-Vaishnavite food and should not indulge in bad habits or practices. All are considered auspicious: some are very sacred, others are considered to bring good luck, good fortune, peace and happiness, spiritual enlightenment and so on. Individual worshippers can choose it to bring them the most beneficial effects based on the positioning of the planets in their horoscopes. Temples can, however, use any kind in their prayers and rituals. Wherever it is kept Lord Vishnu lives there along with Goddess Laxmi. The umbrella shape shilas has power to give kingdom and the one having elliptical shape gives lots of wealth. It purifies a person and gives success in all walks of life. The benefits that one get by reading all the Vedas and doing penace (tapasya) is obtained by a person who worships it. The one who does Abhishek with water gets lots of benefits and happiness. It is said that if a dying person is given the water of shila then he is purified from all the sins committed by him and goes to Vishnu Lok and get Nirvan.